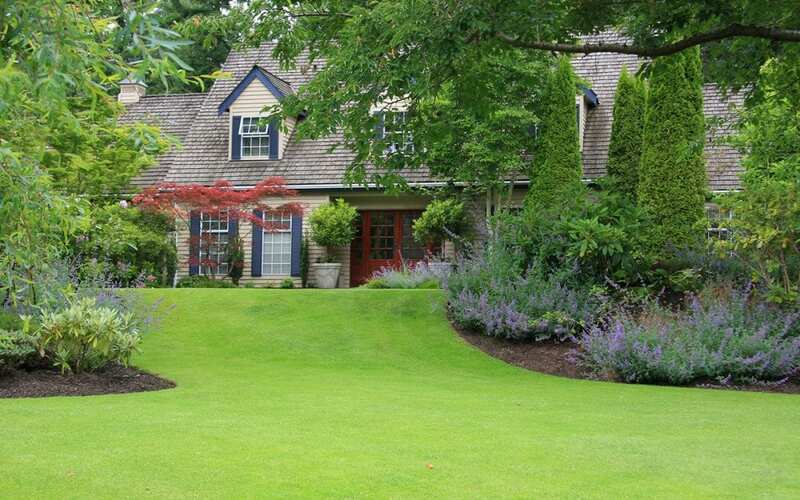 The summer season is the time to show off your lawn and improve your curb appeal. Unfortunately, the lawn can have difficulty thriving in the summer heat. If you want to maintain your lawn so it will remain green throughout the season, there are a few essential tips to follow that will make it easier. Although you may not want to have your grass grow back as quickly each week, mowing too low can cause it to dry out because the soil is more exposed to the sun each day. By allowing the grass to remain longer, it will let the roots grow deeper and reach down further for moisture in the soil. It’s also important to alternate your mowing at a 45 or 90-degree angle. Changing the mowing pattern will prevent the soil from compacting and will allow the grass to grow upright. Using a sharp blade is also important to ensure that the grass it cut cleanly and isn’t ripped out of the soil. If the grass becomes damaged, it can become yellow. Make it a point to sharpen and balance the blade every four months to maintain a good cutting edge unless there are a lot of rocks that are present. You may be making the mistake of watering the grass for 15 minutes every day or two, which can affect how well it thrives. Opt for watering the grass for one hour every week, which will allow the moisture to reach the roots and strengthen them. Watering deeply and infrequently is key to prevent the grass from becoming stressed during droughts. Opt for providing an inch of water each week and water in the early morning hours to prevent the water from evaporating. If you want to maintain your lawn in the summer, you may need to reseed the lawn to prevent bare spots from developing over time. Use a tall fescue mix in the fall or spring when reseeding the lawn to prompt the grass to grow. Many different varieties can be used to ensure that the grass can handle the heat and droughts. In many cases, aerating the lawn is necessary if the soil isn’t getting enough air. You can determine if the soil needs to be aerated by measuring the thatch. Begin by removing a plug to evaluate if you have more than half an inch of thatch in the yard. You can perform core aeration in early fall if more than half of an inch is present to maintain your yard. Prevent potential problems from developing throughout the season that may affect the health of the lawn. Insects and weeds can all threaten the quality of the grass and need to be prevented with the right steps taken to maintain your lawn. Apply the proper protection to the grass and remove weeds once they’re spotted each month with the use of a handheld weeder. You should also prevent pets from leaving droppings on the lawn, which can cause dead spots to form. If you want to maintain your lawn, you’ll need to take the right steps to create a quality yard that looks beautiful. With enough care, the grass will thrive and won’t suffer from damage over the hot summer season. Home Inspectors of Middle Tennessee provides home and commercial inspection services to the Greater Nashville area. Contact us to schedule an appointment for our services.